Ordering made easy! Shop online anywhere, anytime. 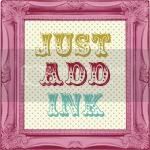 You can purchase Stampin’ Up! products without having to attend a party, class or workshop from ANYWHERE in Australia! Ordering is easy. You can either use the shop now button or send me an email including the item numbers and a brief description as well as your contact details. You can also call me to place an order on 0414 254 708. Payments can be made using cash, direct deposit, or major credit cards at any time, 24 hours a day, 7 days a week. Any order totalling more than $300 qualifies for Hostess Benefits. This includes individual customer orders or group orders. That's right! Place and order together with your friends and family and pool your orders to earn free stamps and get extra dollars to spend on any of our products! Please feel free to email me for more details on these benefits.